Ohtawara Marathon 2018 – 26 days to go! I had another good week of running as I continued my countdown to Ohtawara 2018. It is always great to get over 100km but I also managed 4 quality workouts including a 42km on Sunday. 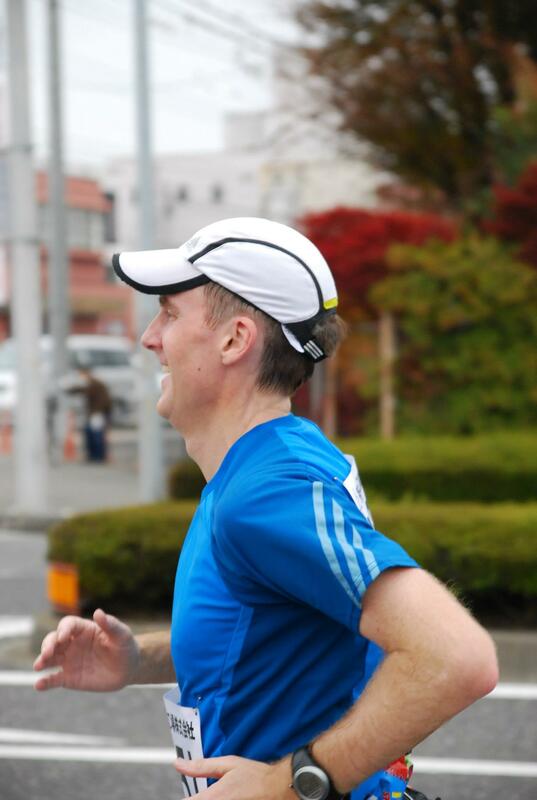 My running streak has now reached 29 days, and while I was a little blue when I could not run Matsumoto Marathon and realised that it probably was for the better, I now felt a bit more confident that I could give Ohtawara a good shot and do my best. Despite my Long Run on Sunday, I still managed to get up early on Monday morning and run before work in order to keep my streak going. Nothing eventful happened as I ran around the neighbourhood a couple of times avoiding trains and people heading to work. I was a little sore and kept my pace low. Monday evening, I was back in Bikram Yoga for the 3rd time in October. I am not sure I have made much progress in the last 6 months but if I will stick it out for another while, hopefully, I will improve my balance and flexibility and learn the crazy script. Tuesday I was no longer sore and I was able to go out and complete my morning run well in time. I didn’t feel sore and was beginning to get in the groove by the time the run was finishing. I had wanted to go to Namban Rengo for the Intervals at the track on Wednesday evening but I had a real-life event and only managed to get home at 11:30pm. I was pleased that I had gone out in the morning and that the run went well. I started slow but was running fast by the last km. I can never start fast at 6am. As I had missed my quality run on Wednesday, I knew that I needed to get something done on Thursday before the weekend kicked in. Sarah had advertised that she was planning on running 3 laps of the palace, the first easy, the second and third hard. She wasn’t joking. I managed to meet herself and Rika san at the “statue” just before they headed off for the workout. Everything was fine as we headed up the hill and around the palace for the first lap. Then Rika san went home as she had a race on Saturday and Sarah turned up the pace. Like Nick on Saturday, she kept the pace high and steady. I clung on for as long as I could and completed the second lap averaging 4:28/km pace. As we headed up the hill for the 3rd time, I was suffering. I fell further and further behind as Sarah maintained pace and form. I averaged 4:41/km for lap 3 and was fairly happy with myself. My resting heart rate did not change at all on Friday morning but my HRV dropped by 11 points. This was not unexpected. I had been stressed by the hard workout on Thursday and needed to take it easy. Fortunately, I only had to run to keep my streak going and I ran my 5km before breakfast. Friday evening we were back at Bikram Yoga. It was another good session and I began to feel that if I could practice it more than once a week, I might get better. As we left yoga on Friday night Sarah said that she would be swimming in Hayama in the morning and not be able to make the run around Akasaka Palace before the Namban Rengo Hill repeats. I felt a great sense of relief as I headed for a curry with Andrew and Naoko. I would not need to get up early on Saturday but just in time for the hills. However, I made the mistake of checking my phone when I turned over at 5am. There was a message that the swim been canceled due to the weather and to meet at the lockers in Aoyama at 8am. I quickly said to myself “You never saw it” and rolled over and went back to sleep. I woke up again at 6am and this time I stayed awake so I was on 7:19 train to Aoyama. The plan was 5 laps of the 3.2km circuit and we kept the pace fairly consistent and pushed the last one – 17:48, 17.22, 17:25, 17:27 and 16:03. I didn’t get dropped but I was covered in sweat. The only moment of note was that our drinks got stolen. We had left them near the exit to the subway but by the end of the 3rd lap, they were gone. I am guessing that a disgruntled walker who does not like runners pounding around their palace took them. Shoganai! We finished at 9:30 and had just enough time for a quick coffee in Starbucks before the Namban Rengo Hill Repeats started at 10am. Jay was “traveling” this week so it was up to Sharity to lead the group. Hill Repeats are always tough but when you have 16km in your legs they are very tough. It was great to see Keren up from Kyoto and have Chiba san take photos, but I was in trouble from the start. I had cooled down and could not get going again. The only time that I could sprint out of the blocks was when Chiba san positioned himself at a corner with his phone to capture the moment. It was very satisfying to get two hard efforts in on 2 consecutive Saturdays and I will need to try and do it again next week to make some progress. I woke up early on Sunday morning with good looking HRV and RHR. A HRV of 100 is one of the highest I have seen and I knew I needed it. Again I was meeting up with the training crew of Sarah and Rika. Sarah had been assigned a 40km run with lots of crazy stuff – 3x (6km easy + 6km hard) and finishing off with 8 x (400m sprints + 100m recovery). I thought that I would give it a try and if it did not work out, I would just do my usual long slow distance. This would not be the case. I put in the best effort that I could from start to finish and was happy with the result. We started off just after 7am at a very easy pace along the Tamagawa River. It was still cool in the morning and it felt great. When we hit 6km Rika san turned back as she had run a race the day before and didn’t need to push it. Sarah upped the pace and I hung as best I could. At the 3km point the pace was increased again and I was dropped. However, I still managed to run at a respectable 4:45/km pace until the end. The next 6km easy went by well enough and I stopped for my first sports drink. We started the second hard 6km hard and I was dropped immediately. I knew that I just had to keep going as hard as I could and I kept my average pace at 4:59/km. I stopped again for 2 more bottles of sports drinks before heading off to run the 3rd and final 6km easy. I eventually ran into Sarah but once the last hard 6km started she was gone. My motor was shot. The best I could do was 5:29/km for the first 2km. I then stopped for even more sports drinks. After I restarted I was feeling a bit better and managed to get the 6km average up to 5:23/km before stopping for another drink. It is no wonder that I never lose any weight on a long run when I drink about 4 litres of fluids. We finished up with the 400m sprints, none of which were particularly fun, or fast. As soon as we finished I legged it home as I had to be at my son’s school for his presentation. I finally got to reward myself with a Halloween Witch at Starbucks.